Since around March 1 I’ve been working remotely from my personal favorite venue among the places I’ve lived and worked thus far in my lifetime: Huntsville, AL, USA. (You may find that quite a statement from someone whose current home base is Oceanside, CA, USA, just north of “perfect weather central,” San Diego.) The Rocket City, designated as such due to the omnipresence of NASA and other aerospace organizations and facilities in the metropolitan area, is home to my high school alma mater, Virgil I. Grissom High School, named after one of the three astronauts who lost their lives in the fiery Apollo 1 disaster. By contrast with the final mission of those three brave souls, my stay here has been a wild and wonderful ride that is not over yet. My current job as a global program director at Stratecast enables me to work remotely from anywhere with an Internet connection and an airport. So I’ve been working throughout the trip on my syndicated research reports, and growth consulting projects for great clients such as HP, based on the Big Data, analytics, and business intelligence market. I’ve even handed out my first technology innovation award for the year, which seems appropriate in a world-renowned hotbed of technology innovation such as Huntsville. My mission on this trip has been personal as well as professional. Being in town from Wednesday through Sunday last July for my Grissom High School Reunion gave me just enough of a taste of the town to drive me crazy waiting for a return engagement. So my non-working hours have been chock-full of fun with friends, both lifetime and new, at Drake’s, Watercress, Connors, Ding How II, The Mellow Mushroom, Humphrey’s, Grill 29, and beyond. 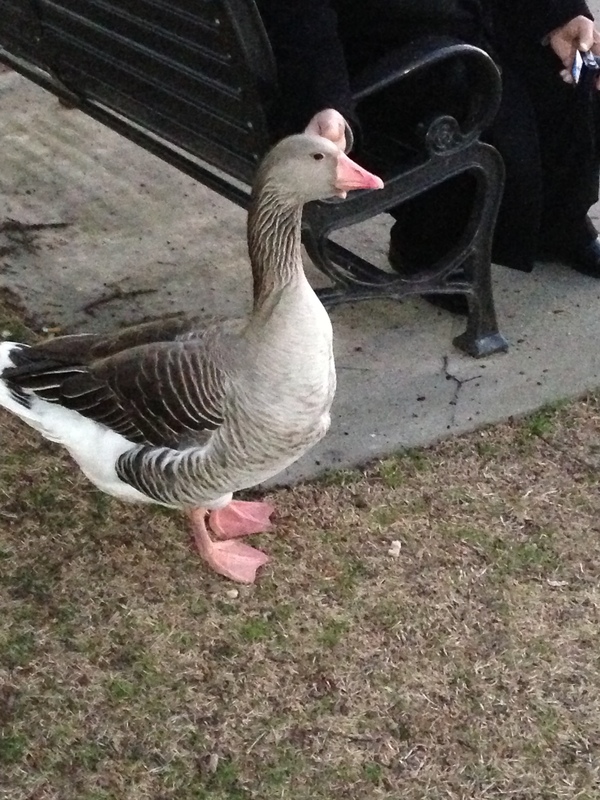 I’ve walked Monte Sano and Green Mountain, as well as Big Spring Park, where I did battle with a duck I am certain was the size of at least one model in the Kia fleet of vehicles. 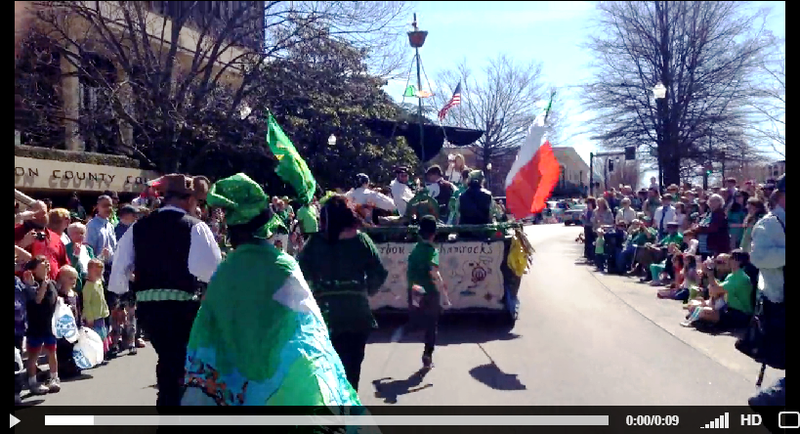 I walked in the Huntsville St. Patrick’s Day Parade and rocked out that night at The Sports Page to great bands including power-rockers Black Label, who were so good I found myself virtually stage-jumping to the raw sonic fury. Along the way I’ve unleashed MarketPOWER+ social sizzle to help bring #SoMeT13US to Huntsville, and to thank The Rocket/95.1FM for tearing the roof off the Rocket City. Parts of this don’t sound much like work – good for you! I just got back from Tuscaloosa. Sadly, it was just a quick trip to pack Lauren up out of her dorm room. Awww…love it out there…wish Lauren and your whole family the best! Michelle graduates from Cal Poly in June and after fielding acceptances from the top 10 Physical Therapy grad schools, she decided on #1, USC. Heather’s a sophomore at Boston College and doing an internship in NYC this summer.